The design of a clear, printable form is only the start of getting the data that you need. Making an electronic version of that form—one that’s easy to post on the web or transmit via email—is the key to gathering data quickly. Intended for intermediate designers, this course looks at everything from building a bullet-proof PDF to adding interactive fields like signatures and combo boxes with InDesign, to finalizing and distributing your form with Acrobat Pro. 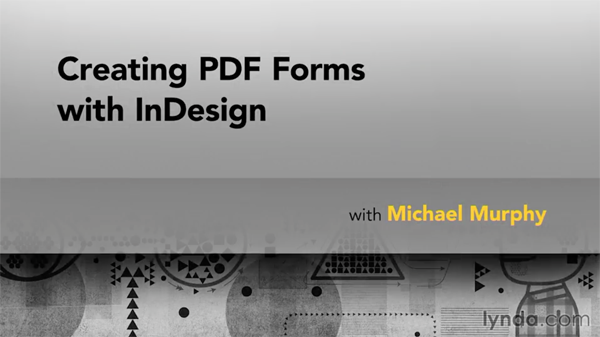 This clear, concise course will make sure your forms work equally well on paper as they do as PDFs, while helping you troubleshoot tricky InDesign and Acrobat parts of the process. InDesign vs. Acrobat: Which to use, and why?